National Geographic photographer Stefano Unterthiner, 48, from Italy has been to more than 30 countries and photographed exotic wildlife such as the Komodo dragon, European bison and brown bear. When he learnt about Singapore's Bishan otters, he flew here in January last year for over three weeks. He is not the only foreigner to be intrigued by our otters. Otter groups here told The New Paper that they get messages from fans across the globe asking where to find the animals if they were to visit Singapore. There are two species of otters here - the smooth-coated and the small-clawed otters. The smooth-coated ones grow up to about a metre long and weigh about 11kg. They are the more common ones and have been spotted since the 90s in places such as Sungei Buloh, Bishan-Ang Mo Kio Park and Gardens by the Bay. Small-clawed otters weigh around 5kg each and have been seen on offshore islands such as Pulau Tekong and Pulau Ubin in recent decades. Otters have been reported in the media attacking fish ponds in Sentosa Cove or on the tarmac at Changi Airport. Mr Unterthiner has been a regular contributing photographer for National Geographic Magazine for the past decade. 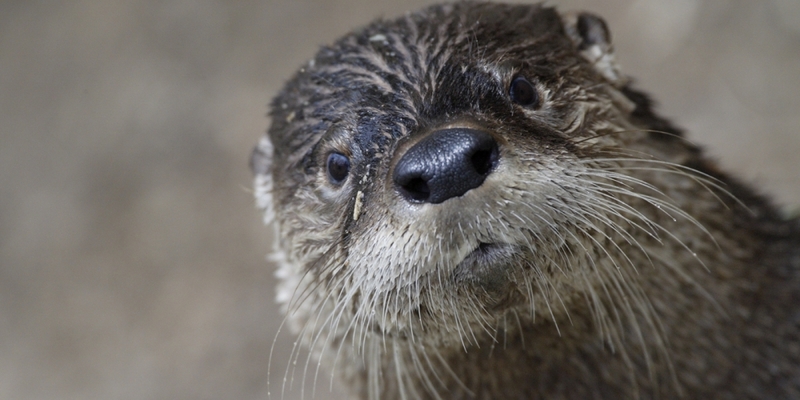 He told TNP in an e-mail interview that he had always dreamt of working with otters. He said: "My work is telling the life stories of animals, and I am always looking for new and interesting stories... The return of otters in Singapore is an amazing example of co-habitation between people and wildlife. "It is a positive story to tell and share, full of hope. I never expected to do it in the heart of a metropolis." In July 2016, the otters were greeted by researchers and scientists from around the world when Singapore hosted the 13th International Otter Congress. Veteran otter watcher and founder of Ottercity, Mr Jeffrey Teo, 47, told TNP: "The otters represent the biodiversity success that Singapore has developed over the years, and many people are interested to see them for themselves." Ottercity was created last June as a platform to share original collections of otter stories, pictures and videos in Singapore. It has more than 9,000 Facebook followers. OtterWatch has over 40,000 Facebook followers, with fans from Ireland, Italy and Russia. Mr Teo added Ottercity gains about 1,000 new followers every month and receives messages from overseas fans daily. Some come from countries such as Japan, Britain, Australia, Taiwan and the US. Mr Teo said: "They usually ask how and where they can find the otters if they were to come to Singapore." National University of Singapore biology lecturer N. Sivasothi, who heads the OtterWatch group, told TNP: "The otters are gaining so much recognition worldwide because it is an unusual phenomenon to see these wildlife creatures thriving in an urban city like Singapore. "Many people are intrigued to see these otters roaming around with Marina Bay as the backdrop." He added the Singapore otters are easier to track and spot compared with otters overseas. Mr Sivasothi said the otters gained popularity in 2014 when they were spotted in the Marina Bay area and then Minister for National Development Khaw Boon Wan made a blog post about it. "It is really heart-warming to see locals and even people from overseas appreciating these otters," he added.